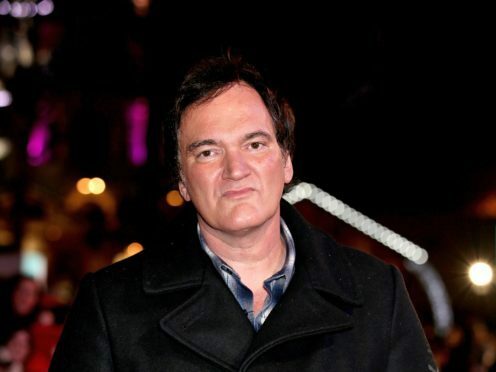 Quentin Tarantino has described Uma Thurman’s car crash on the set of Kill Bill as “the biggest regret of my life”. The director said he had not considered the driving shot on the Mexico set to be a stunt at the time, before Thurman lost control of the Karmann Ghia and crashed into a palm tree. He told US trade website Deadline: “I am guilty, for putting her in that car, but not the way that people are saying I am guilty of it. The director was responding to a piece in the New York Times in which Thurman alleged she was sexually assaulted by Harvey Weinstein. Thurman also said she suffered a car crash during the shooting of Kill Bill, on which Weinstein was an executive producer, and footage from the crash accompanied the story. The director said: “I knew that the piece was happening. “Uma and I had talked about it, for a long period of time, deciding how she was going to do it. “She wanted clarity on what happened in that car crash, after all these years. She asked, could I get her the footage? Thurman has since posted the video of the car crash on Instagram, writing that she does not believe Tarantino had withheld it maliciously and they are now on good terms. Tarantino told Deadline: “I don’t know exactly what caused the crash, and Uma doesn’t know exactly what cause the crash. Tarantino said he did the drive himself to test the road was safe but when Thurman did the shot she drove in the opposite direction. He said: ” I told her it would be OK. I told her the road was a straight line. I told her it would be safe. Recalling the moment of the crash, he said: “Watching her fight for the wheel …remembering me hammering about how it was safe and she could do it. “Emphasising that it was a straight road, a straight road … the fact that she believed me, and I literally watched this little S curve pop up. The story of the crash accompanied allegations made by Thurman that she was sexually assaulted by Weinstein at the Savoy Hotel in London. A spokeswoman for Weinstein said the producer acknowledges making “an awkward pass 25 yeas ago in England after misreading her signals”. He is considering legal action, his lawyer, Ben Brafman, said.